The fall is already radical, but there are some factors that can depreciate the crude oils further. First of all, we remind of the causes of the oil price falling. Basically, the causes are on the supply side. The technology has enabled to extract shale oils from a deep part of the ground, which tremendously increased the oil production in the US. The US also decided to alleviate the sanction on Iran about exporting oils. OPEC also refused to decrease its production to defend its market share. To revive the oil price, these factors need to be cleared. Then, who would stop production first? It needs to start from the US shale industry. The first factor we must recall is that the cost of extracting shale oils is higher than the conventional extraction. The shale oil industry invented the method to extract oils that had been impossible to extract with the conventional rig, and therefore it must be more costly. This is why OPEC is still optimistic. When the low oil price continues, it must be the shale oil industry that will die out. However, it would not be so easy a way also for OPEC. The recent oil price is already below the break-even point of the shale industry, which is estimated to be around $60. However, the shale oil companies are still producing oils as the price is not yet below their shutdown point. As the existing firms already invested in equipment, they need to produce oil even below the break-even point, as long as the oil price is more expensive than the cost to produce with the existing equipment. The financial releases of the shale oil companies tell us that most of them are making losses, but the losses come from the bonds and the depreciation of the equipment. They are still producing oils with the oil price being in $30s. Some are reported to stop rigs for inefficient wells to concentrate on the efficient ones. They seem seriously striving on cutting costs. However, from a long term viewpoint, the aggressive use of efficient wells under the low oil price would not benefit the companies. Then why are they doing so? That is because they would go bankrupt if they did not. They are desperately in need of cash flow. Although relatively large shale oil companies seem to have funds to survive 2016 according to their earning release, smaller ones are about to die out. However, even if they financially collapse, as long as the wells and rigs are sound, the equipment of the bankrupted companies will be purchased by other companies. M&A is the trend in the shale industry. Nevertheless, when efficient wells are bought by a financially sound company, it is likely that the wells will be preserved for the future when the oil price recovers. This is one scenario that leads to the decrease of the oil production. Another scenario is that the oil price goes down further directly to the shutdown point of the shale industry. Reviewing the financial releases of the shale oil companies, they are still producing oils under the oil price of $30s, so we presume their shutdown point as around $20s. Which is earlier? 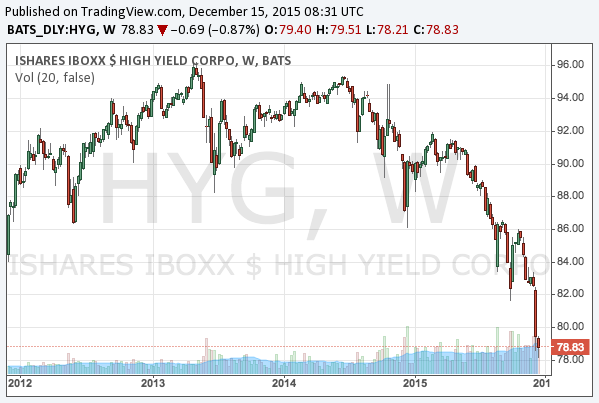 Bankruptcies or $20? So, which of the two scenario would come first? As large shale oil companies still have cash, the further fall of the oil price should be the one earlier to be realized. Although smaller shale oil companies are at risk, the wells and rigs would be utilized by other companies. If the oil price goes down to $20s, the cash flow of the larger companies would also be at risk. More bankruptcies would reduce the production. We assume this is the way to the rebound of the oil price. 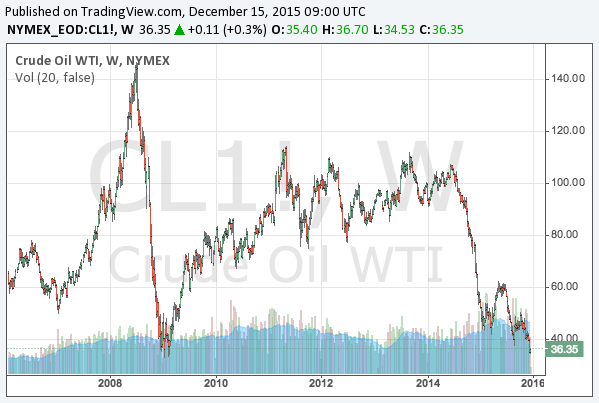 When will the oil price rebound? The further fall of the oil price would happen in early 2016. The question is how long it takes after the price reaches the necessary level and until the bankruptcies prevent production. We roughly estimate we would observe the bottom of the oil price in late 2016 or early 2017. Until then, companies such as airlines will enjoy reduction of their costs. If the dollar is depreciated and the oil price rebounds at the same time, Japan and the euro zone will seriously suffer. All the central banks will admit they cannot stop easing. This will be the last boost of the QE bubble, and the end will follow shortly. The time is approaching. 2016 will be difficult for investors.